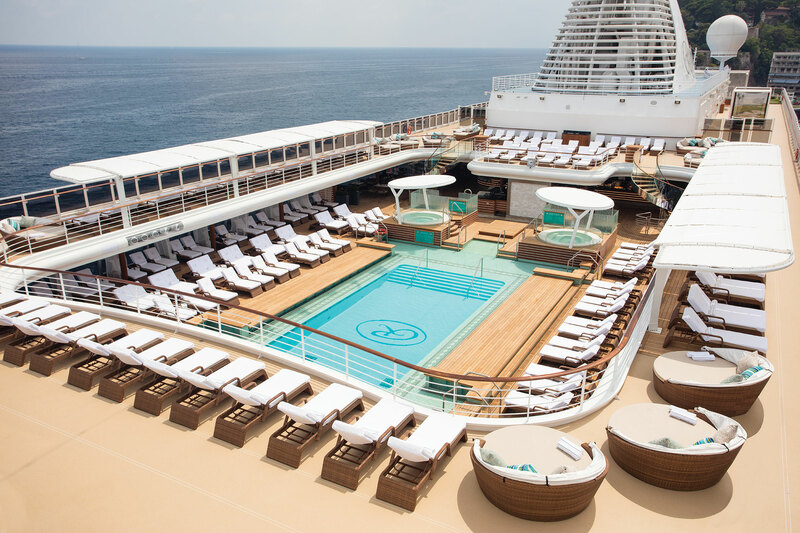 One of our preferred cruise line partners is Regent Seven Seas, offering the world's most inclusive luxury cruise experience with a four-ship fleet that visits more than 425 destinations around the world. 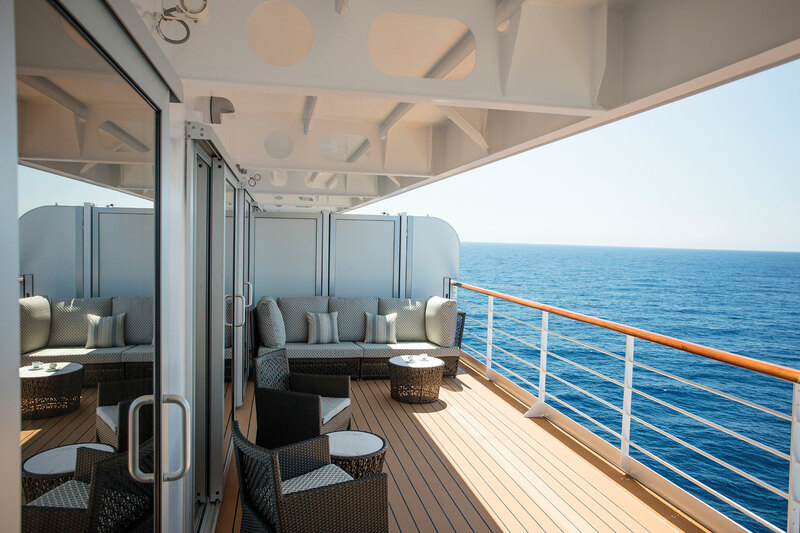 When you book directly with North South Travel you can benefit from complimentary shipboard credits on most sailings and access to special pricing which you can’t get elsewhere, as we are members of the exclusive Virtuoso Network. We have access to great Canadian at par rates on select sailings - contact us for more info! An enriching onboard lecture program from The Smithsonian Collection by Smithsonian Journeys, plus spectacular production shows, virtuoso musical performances, culinary demonstrations and wine tastings. 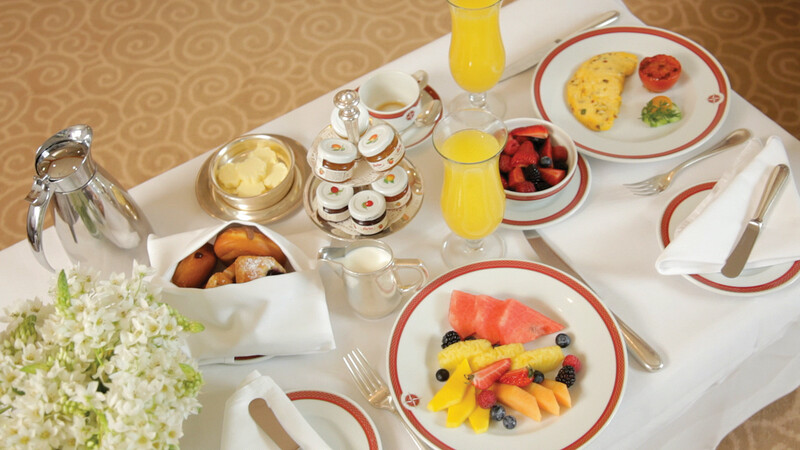 Guests enjoy unparalleled hospitality and impeccable service by professional staff in a sophisticated ambiance. 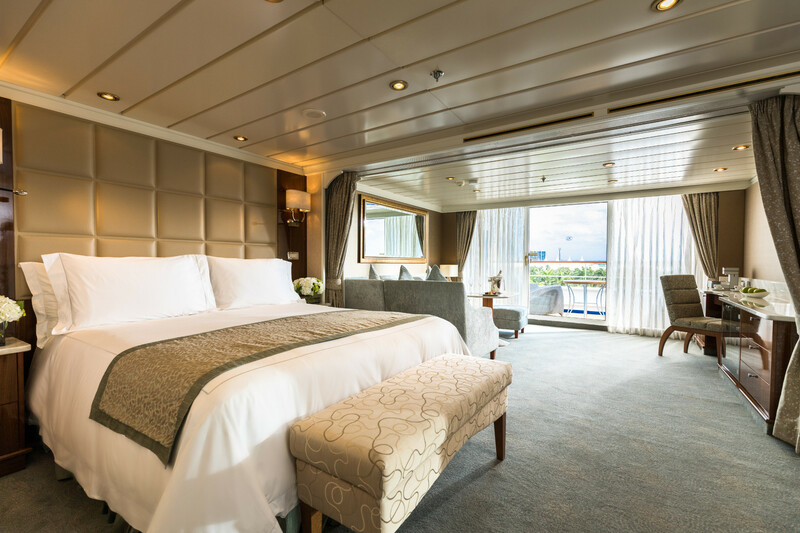 They delight in the expansive spaciousness of all-suite accommodations, indulge in the exquisite cuisine of the finest dining experience at sea, and explore the world's greatest destinations without limits. Each ship features all-suite accommodations that range from 300 to 4,443 square feet, boast elegant décor with custom-crafted furnishings and private teak balconies complementing all suites aboard Seven Seas Explorer (http://www.northsouthtravel.com/regent-seven-seas-...), Seven Seas Voyager, Seven Seas Mariner, and 90% of Seven Seas Navigator. Marble appointments accent the bath, featuring a tub or walk-in shower and the majority of suites feature a walk-in closet. A spacious sitting area is enhanced by soothing colors and rich textures with plenty of room to stretch out and watch a movie, read a best seller, or simply enjoy ever-changing vistas that stretch to the horizon's edge. Dine whenever, wherever and with whomever you choose in any open-seating restaurants. Simply request a table when the mood strikes and the maître d' will happily seat your party. 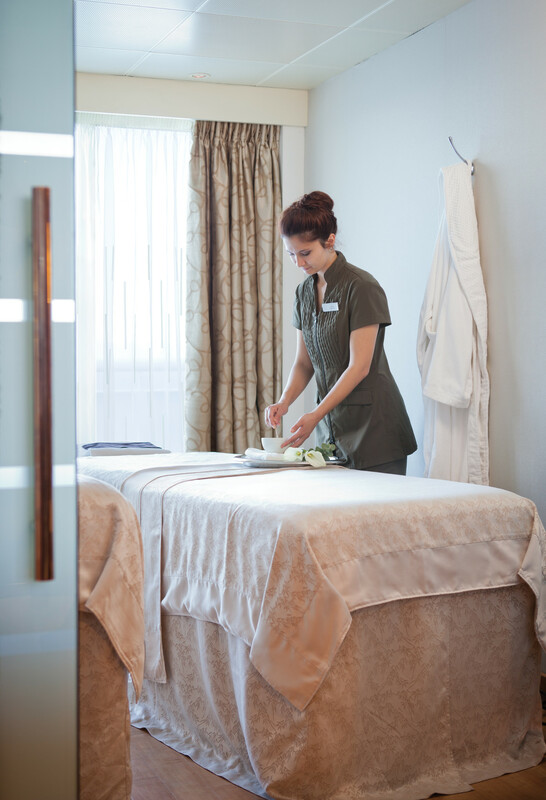 Guests aboard Regent's ships delight in a warm and friendly ambiance fueled by extraordinary staff that hosts an array of on board activities that enrich and entertain. Programming ranges from exquisite wine and artisan cheese tastings, as well as in-depth cooking classes at the Culinary Arts Kitchen aboard Seven Seas Explorer. Guests may also participate in insightful lectures and discussions through The Smithsonian Collection by Smithsonian Journeys available on the majority of itineraries. And across all ships, guests can choose to be pampered in the Canyon Ranch SpaClub or in the heated resort pool. Contact one of our Cruise Specialists for more information or to discuss booking your next luxurious all-inclusive Regent Seven Seas cruise! Contact us above or call us at 604-736-7447. Happy cruising!